Online shopping mobile apps have enabled retail shoppers to purchase anything right on their smartphone without leaving their premises. Due to incredible convenience and enticing offers showcased by them, ecommerce apps with fancy digital shelves and infinite product choices are booming louder. The trend of shopping with mobile apps like Flipkart is slowly making traditional shopping style vanish. With the rise of apps like Flipkart, the number of customers browsing shopping websites also plunged down. Being a proven ecommerce leader in India, the app can inspires many aspiring online shopping startups that wish to master the niche. So these startups can break into the market with a mobile app as successful as a shopping giant Flipkart? The thought of entering an ecommerce niche with a prosperous business prospects must be essentially preceded by the even more daunting thought of overpowering the mighty competition. The online shopping giant Flipkart has a lot to teach aspiring businesses about how to incise the existing market and emerge as an influential player. Flipkart’s immense popularity goes to suggest its ability to study the nerves of current demographics, its rivals and market waves, and to eventually implements the knowledge into building a scalable and customer-oriented online shopping platform. When it comes to building a successful ecommerce app that sustains the other surrounding online marketplaces, experimenting with novel innovations would not hurt. Try to be liberal and dispel all mythical misapprehensions and stereotypical stance, especially the ones that involve intimidating cost criteria, scope of project and finding the right mobile app development companies with unquestionable proficiency. Before you attempt to jot down your selling point, work on cultivating the idea of what exactly it is you want to sell. Having clear understanding of what you are going to sell and types of services to deliver will help you cement a clear-cut strategy which will go hand-in-hand with the actual development process. Setting the clear benchmark is synonymous to drawing a fine line between what sells and what turns into fiasco. Moreover, your precise product clarity will also make it easy for you to boost adaptation to the changing market scenario and gain rapid competitive advantage. This is how ecommerce giants Amazon, eBay and Flipkart grew popular and were enthusiastically absorbed across the globe. You may launch a fairly limited range of products that you are confident about and then expand further after achieving a certain milestone. The major activities happening at the core of ecommerce app development are solely driven by customer requirements. Usually, your sheer focus should be divided between middle-age retail app users and young audience opting for online shopping apps. Much of brainstorming for target audience also involves determining the products range in the early phase. Conduct in-depth research, observe market trends and analyze the e-retail customer impulses. A well accomplished UI design is the one that is clever enough engage users, and is distinctive enough to stand out among similar products boasting in the leading app stores. Subtle interface architecture of this kind revolves around establishing deeper connection with human gestures and precision of elements. Since this phase follows your findings of target audience and market trends, designing an interactive UI that delivers addictive user experience is an objective worth spending time in. Focus on all the elements and components pivotal to your app UI. Make them easy-to-use, functional and comprehensible. A subtle familiar design makes users feel comfortable reaching the order completion page. Although having minimalist design is no tough science, often to create an app like Flipkart, makers forget this simple logic. Minimalism is still a superhit formula and puts positive first impression on new users. An overstuffed app is likely to confuse users, distracting them and making their shopping process even more challenging. Keep features as limited as possible, at least initially, to maintain quality and ease. To create a clever Flipkart clone app with features that affords convenience. Depending on the complexity you can manage, you can optimize them accordingly. However, better the quality you prefer, more chance you will have to battle the competition. Save users their precious time by allowing them to register and create an account via their personal social media profiles. Create easy-to-access menus and precise titles finding options comfortably. Indexing and filters should ensure rapid search. Offering a solution for suggesting related or similar products would also enhance shopping experience. Keep the payment simple, secure and agile with trusted encryption methods. Users tend to appreciate secure and reliable payment options. PayPal, Stripe and Braintree are much embraced alternatives in this domain. Add to cart feature lets users choose the items they like and add them to a cart on the top corner. They can also choose to put them in their Wish list or Saved Items list to place the order later. Purchase history is also common nowadays. This is highly customizable and sought-after feature in the world of online shopping. Buyers rarely refuse an offer tailored for them specially. Loyal customers should be the first to avail bank-specific discounts, promo codes, gift card, waivers, etc. Customer support – your professional spirit of care and assistance is much appreciated. Provide your customers with excellent support service and boost loyalty. Social profiles– Let your customers connect with other users and flaunt their fashion wardrobe to make shopping fun. In-app Wallet – Let your customers accrue extra cashback or returned item refund right in the app’s wallet. Currency converter – Upon expanding your business outside, currency converter makes for a great feature. In any circumstances, don’t take the risk of serving your app users with plain, bland and monotonous homepage content. Make the opening page of the app dynamic and vibrant with banners on hot products, seasonal discounts and limited-time offers. You may use latest trends or customer’s purchase history and cart items to design the personalized homepage. No modern and innovative app would be actually modern or innovative without integration of powerful analytics software connected to it. The analytics dashboard presents you with the real-time data on monitoring of customer behavior inside your app, especially as they reach the critical checkout stage. To create a shopping app like Flipkart, involves as many challenges as fighting the competition from big names in the niche market. However, if you have unique ideas on mind, you can turn the routine shopping process of customers into a smooth, unforgettable experience with your app. To prevent the complexity and cost-related burden from obstructing your mobile app development process, it is advisable to find the right development partner that understands your ideas and make them work. A perfect shopping app is built of superior UI/UX, features and smooth functions. Not every company has a powerful team of strategists, designers and developers to meet such standards. 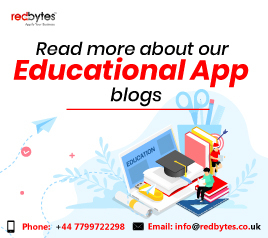 Fortunately, Redbytes surfaces as a finest resort with impressive reputation, track record and experience in diverse mobile app development projects. For thorough consultation, you can contact us.